We offer groups on Friday mornings or Saturday mornings. Each class is 120 minutes and occurs for 8 weeks. Group size is limited to 12 children. ​The total cost for the 8 week group session is $360. Snacks are provided for children and dietary restrictions are honored. 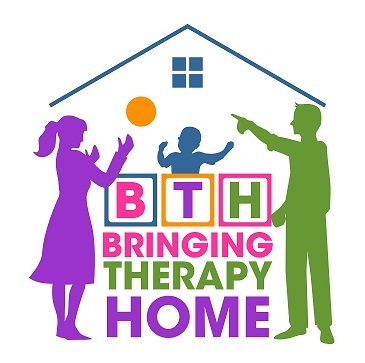 You do not need to receive current services from Bringing Therapy Home to register for the group classes. Group classes are open to the community. occupational therapist, Michelle Sindorf, an occupational therapist, and Emilyjane Eichman, a music therapist. The Saturday group sessions are led by Marena Mitchell, a speech-language pathologist, Michele Di Brito, an early childhood special education teacher, Michelle Sindorf, an occupational therapist, and Emilyjane Eichman, a music therapist. ​If your child has an Individualized Education Plan (IEP) or receives services from an outside provider, please let us know what your child's goals are and we can embed the goals into the group activities. In our "Spring 2018 Social Language Play Group," your child will interact with a different Jane Cabrera book each week. Each session begins with music and movement, followed by a large, interactive group activity to introduce the targeted skill and then the children participate in small groups. Visuals and adapted stories are utilized to teach the concepts. Each week, your child will also participate in activities that will increase their understanding of the main concept. Skills such as role playing, sequencing, positional concepts, vocabulary, making associations, increasing use of spontaneous language, increasing the length and complexity of their language, answering questions, asking questions, expanding on language using descriptive words, verbal turn-taking, and responding to peers using age-appropriate language will be targeted (lessons are created based on the needs of the group). To enroll your child in a group, please complete the registration form, located at the bottom of the page. Once the registration form has been submitted, you will receive a confirmation email. A $50.00 non-refundable deposit is required with your registration (the amount will be applied toward the class fee; however, if you cancel your child's registration, the deposit is forfeited). Missed class sessions are not reimbursed. Once classes begin, refunds are not issued. Payments can be made by cash, check (Bringing Therapy Home, 13469 Switzer Road, Overland Park, KS 66213) or using a credit card at our center.